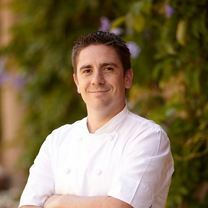 Roger Eggleston is the Executive Chef and Co-Owner of RnD Hospitality Group. He began his culinary career by moving to Italy right out of the California Culinary Academy in San Francisco to start developing his techniques and palate for international cuisines. "Originally from Compton, Bludso’s now has a second spot on La Brea Avenue (called Bludso's Bar and Que). I have had a lot of brisket but this one is amazing. It is so tender and juicy and not overpowered with smoke—just perfect. The fat on this meat is unbelievable, as well. They always serve it with two bbq sauces, but I just prefer a splash of the vinegar they have on each table. The pulled pork here isn’t bad either, and I can’t wait to try what else they offer." "This is the best sandwich I’ve had in a long time. Everything here is good, but this sandwich, packed with genoa salami, mortadella, coppacola, ham, prosciutto, provolone, and spicy mixed pickles is perfect every time. For under $9, you couldn’t ask for more. This place is always busy no matter the hour, but this sandwich is so popular that they put up baskets of them throughout the store for the taking. I never grab a number anymore—just walk in, grab my Godmother and I'm out the door." "The chef at Union used to own his own pickle company, so when I saw this on his menu I had to have it again. Everything at Union is done well, but this is a perfect way to start. I will go there to just enjoy this with a glass of wine to start my evening. The giardiniera is one of the best out there. Put that on top of the cultured butter and the crusty loaf bread that he serves along side it and you wont be disappointed." "There are a lot of pita shops in town, but the lamb shawerma here never fails. It is loaded to the brim. The best part is the house-made sauce and pickle bar, which you can pretty much make a meal of by itself. A glass of almond rossata on the side doesn’t hurt, either."